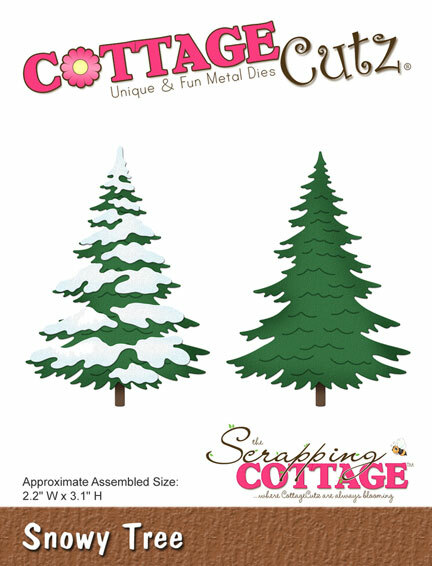 Today I share with you another card created with CottageCutz Christmas dies. In the forefront of snowy landscape I placed a fox. On light blue background stamp some spruce trees. 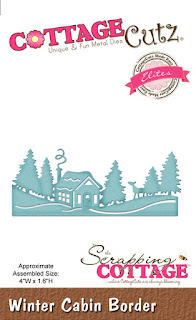 From white cardstock cut out four stitched ovals (the 7th die from the center) and winter cabin border. Shadow edges with Distress ink Walnut Stain, and while still wet gently spread them with white pigment ink. 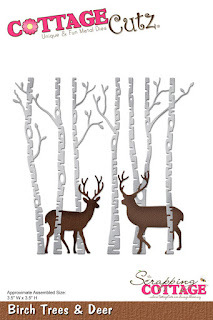 Cut out birch trees with the birch trees and deer die. With Distress ink Walnut Stain strongly emphasize the right edges. 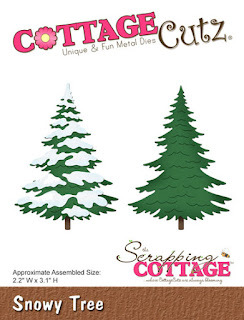 Also prepare a few white cutouts with the snowy tree die. 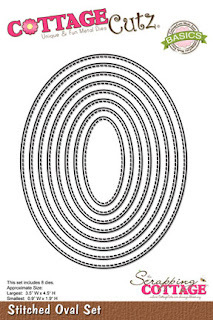 They are treated the same way as ovals. Cut out the fox from color cardstocks. 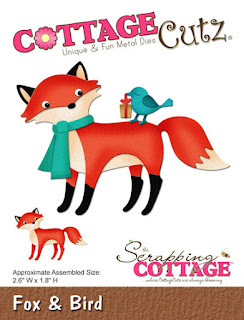 "Brr, it's cold outside today", said the fox and put on a scarf :). 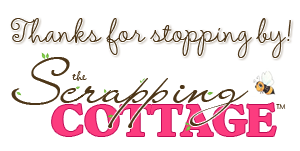 On the right bottom corner stamp warm wishes and start assembling the card. Use a glue and self-adhesive foam pads. I love the contrast between the bright orange of the fox and the white background. He really pops! Love this! what a great card!